With an ultra light tubular knit style, this 3/4" lanyard offers excellent detail and clarity. Ideal for turning heads at conventions, concerts, and tradeshows. Comes in 4 width sizes with your choice of attachment. Have this lanyard silkscreened with your company logo for a convenient promotion that doubles as a high-quality souvenir. PMS ink and material match available. Poly Bag in 50's or 100's (Dependent on options). 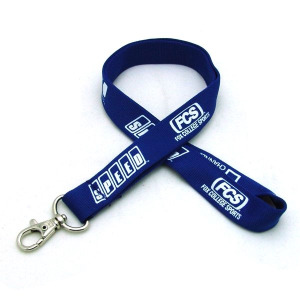 I'm interested in learning about the 3/4" Silkscreened Tubular Lanyard w/ Deluxe Swivel Hook. Please contact me.